We heard the crunch as we stepped up on the platform. Wood. Metal clamps. Held together with what looked like veins of a five-day-old onion thrown against the wall and dowsed with curry powder. The smell wasn’t too dissimilar. We had two choices, continue on and make the ridge before dark or settle in, grill up some Sri Lankan chicken, and watch these links hatch. 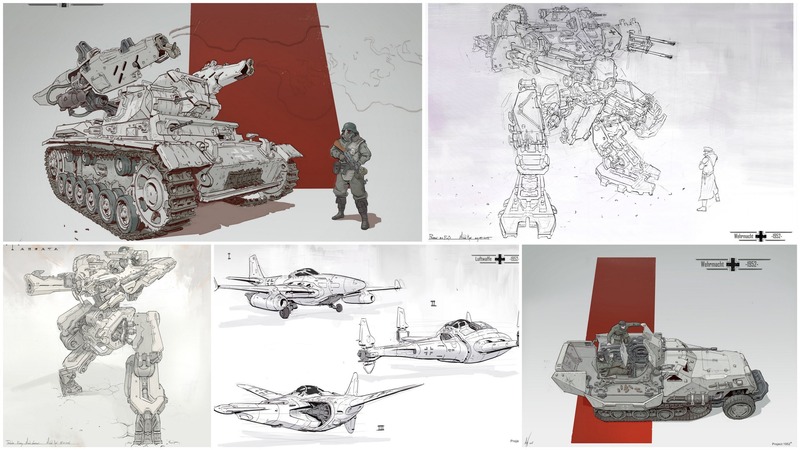 Michal Kus – He has plenty of full-color concepts, but his sketches and line art is just incredibly intrguing. Process video inculded with some as well. Base Sketch to Polished Scene – This is the process Amir Zand goes through to turn a very basic sketch into a masterful final scene – covers keys aspects of lighting, color balance, composition and more. Dogs of CodePen – CodePen has been a unfathomable useful resource. Why? For stuff like this you just can’t find out how to do anywhere else. Color Leap – Oh boy. Quick, give me the color that defines the 1970s? How about the 1920s? Now, what would the 1700s include? A little trip through history with a little history on what made the colors. Achieving Goals – Chris Do explains the art of breaking down goals into actionable, time-bound steps. Touring Bird – Google’s new travel site featuring some of the most popular destinations. Anyone else wonder why it took them so long to create something like this? Lenticular Puzzle – I’m fascinated by extremely hard, challenging and nearly impossible puzzles. This 1000 piece color-shifting lenticular puzzle has got to be one of the best. Annihilation – Beware pelicans? New animated video from Rubblebucket’s new album Sun Machine. Created and directed by Amanda Bonauito who animated the entire thing on paper, photographed it, and color it up in Photoshop frame by frame.